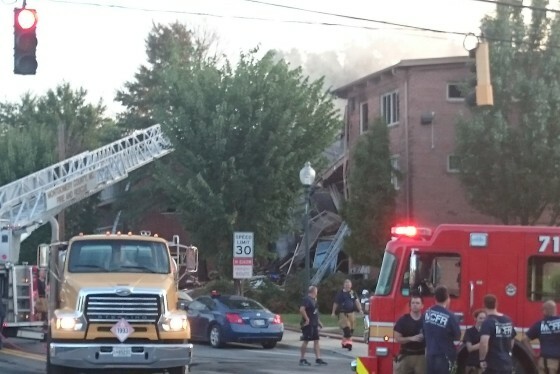 The day after a deadly fire in Silver Spring, those who weren't injured began the process of finding shelter and coming up with plans of what to do next. SILVER SPRING, Md. — They grabbed what they could and got out. That’s what residents of the Flower Branch Apartments say they did when they heard the explosion and watched as fire tore through the apartment complex in the early hours of Thursday morning. The day after, Thursday, those who weren’t injured began the process of finding shelter and coming up with plans of what to do next. But for some residents, like a distraught woman outside of the Long Branch Community Center in Silver Spring, future plans were up in smoke. That woman left the center with tears running down her cheeks, and she crumpled under the weight of her grief. Grace Rivera, a county resident who’s served on the board of directors at CASA of Maryland, held the distraught woman in her arms and directed her to agencies that could help. “She’s lost it all,” Rivera explained to a reporter. “She’s from Guatemala, and she brought one daughter here. She had saved enough to bring the second daughter,” but the money to do that wasn’t in a bank. 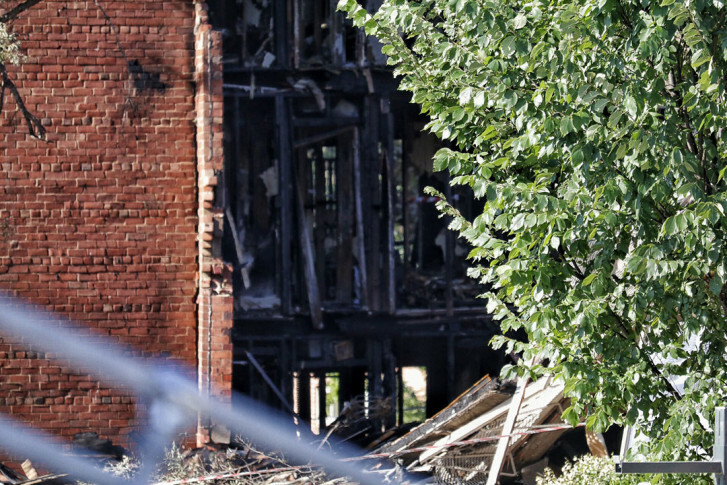 The cash savings had been stashed in her apartment … now destroyed by fire. Rivera said many of the residents of the apartments are recent immigrants from Guatemala and El Salvador. Some have documents allowing them to be in this country — others don’t. And for that reason, Rivera said, many were reluctant to come forward for help. At Mary’s Center, Director of Site Services Zulma Aparicio echoed Montgomery County officials who urged those affected to take advantage of the help being made available.